If a short glass of dark liquor, a seat at the bar, and some company to shoot the breeze with seems like your ideal night, then a whiskey society is summoning you to sign up. Membership to these exclusive clubs means you’ll always have some fine spirits to drink (many of which have won awards), and another whiskey fanatic to nerd out with about the complexity of each blend or single malt. Located across the country—some nationally spread and others only serving locals—these establishments give you an insider’s look (and taste) of the whiskey world. Buy your entry to one of the clubs below (if you can), then sit back and enjoy the perks. You’ll never fall short on a new bottle of smooth small-batch whiskey or reasons to pour another glass. 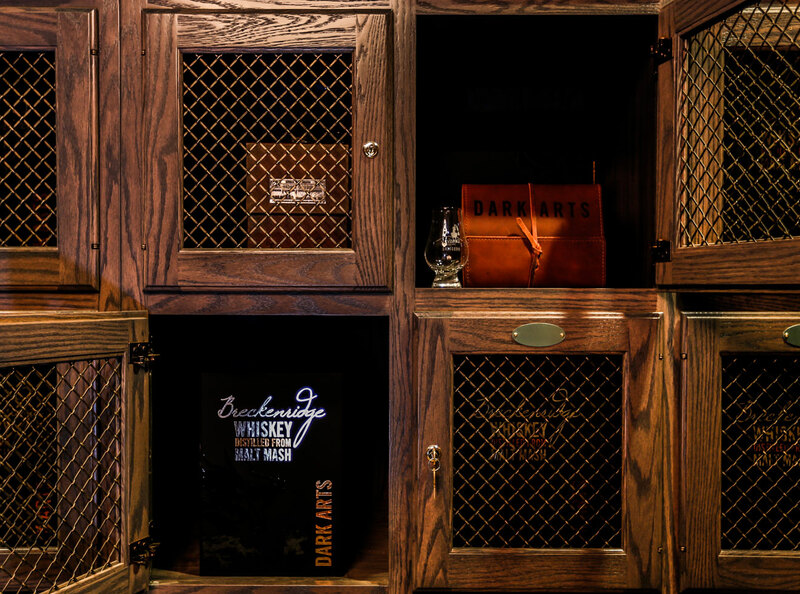 The Dark Arts Lounge, located inside Breckenridge Distillery and clad with leather couches and whiskey lockers, is all yours when you sign up for a five-year relationship with this club. If you make a reservation ahead of time, you can even bring your friends. 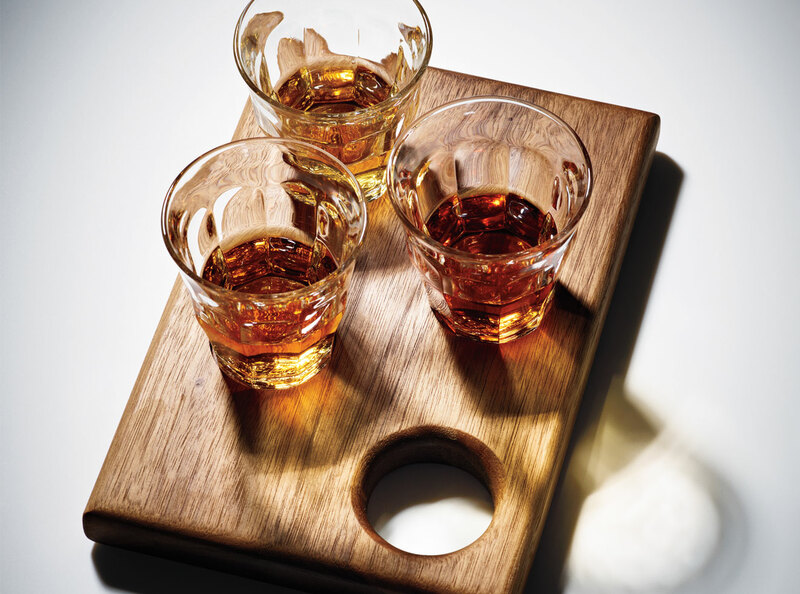 In addition to a space to drink and be merry, you also get plenty of high-class liquor to fill your glasses. Members receive nine bottles from award-winning Breckenridge Distillery every year, which includes experimental bottles and a special holiday release, all made specifically for club members. You can also dine-in at the Colorado distillery with membership discounts and complimentary bites from the chef, along with chocolate and caviar pairings. To top it off, you receive an engraved crystal decanter, barrel samplings, early access to spirit releases and more. It’s even more delicious (and fancy) than it sounds. If you prefer surfing the web for the best scotch in town, rather than doing your research in person, this society is for you. Most of the communication among members is online and via social media, so you can share your love of single grains or blended batches from your home bar. Once you’re in the club, you get a whiskey glass, water pitcher, and other little gifts, plus discounts on Irish malts and craft merchandise. While there are no in-person tasting rooms or events, you can likely find local happenings across the map—this U.S.-based version of the Irish Whiskey Club spans across 25 states. They also have plans to expand in 2019, giving members exclusive bottles from their recently purchased cask, and planning a trip to the distilleries in Ireland. LA Whiskey Society is the most exclusive club on the list. It’s invite-only. That means you’ll likely have to know someone already on the inside to become a member, but you can also attempt to get in by filling out an application online. They cap the club at about 35 people, only letting in a new member when an OG leaves. Once you’re admitted, though, you’ll meet bi-monthly to learn more about your favorite drink, while imbibing five to 10 bottles, usually all following a theme. Some meetings will include educational materials, others may include a blind taste test, and many get-togethers end in late-night sipping on “The Reserves”—about 175 bottles that members opened in previous meetings. In other words: You have a plethora of opportunities to discuss and enjoy some damn-good drinks. 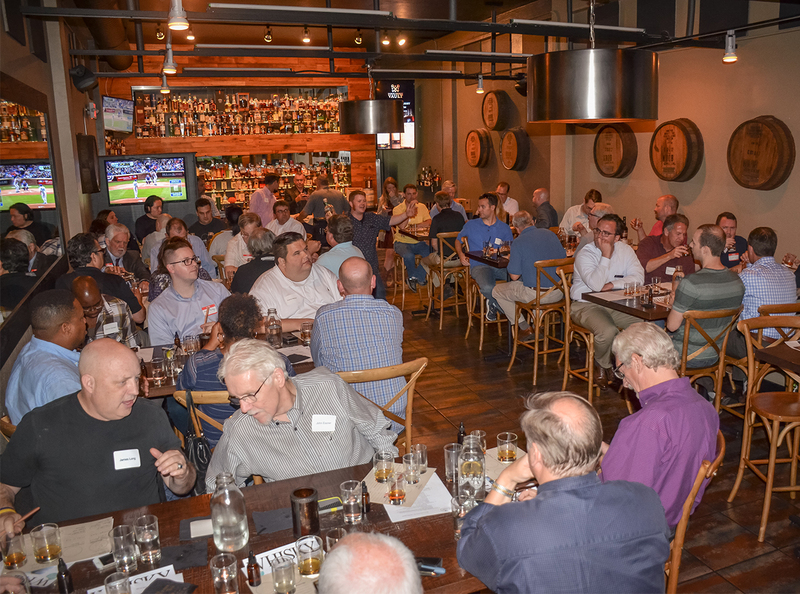 Meet other whiskey devotees at Gamlin Whiskey House in St. Louis every month to catch up and enjoy an expert-led tasting. While that’s the bulk of your membership, you also have the option to head to local and regional distilleries for tastings and tours with special perks thanks to your member card. Better yet: The club organizes an annual trip to the Kentucky Bourbon Trail (usually in April) to really give you a taste of the good stuff. Oh, and at the Gamlin Whiskey House restaurant, your membership gets you a members-only menu, often featuring the last pour of some beloved whiskeys, as well as special treats. Share a bottle, taste different pours at private local distilleries tours, learn about various whiskey portfolios, or get a cocktail tutorial—it’s all included in your membership to NWS. You get a few other bonuses outside the society, too, including discounts at certain liquor stores and restaurants, as well as invites and discounts at other whiskey events around town. Beyond that, you become part of a community of fellow dark-liquor lovers. This society only has 35 members, so it’s easy to make friends. Even if you’re not based in Music City, you can purchase an “Out-of-Town” membership (but you must live within 50 miles). With that, you get updates on industry news, NWS event recaps, entry to bottle shares when you’re in the area, and admission to their epic end-of-year bash. Scotch Malt Whisky Society is the largest club in the world with more than 30,000 members—about 10 percent of which are based in the U.S. With your connection, you can access three of their member tasting rooms in the UK—there are also two in Edinburgh, two in Scotland, and one in London—where you can test out unique spirits. Thanks to partnerships with more than 130 distilleries abroad, Scotch Malt Whisky Society also bottles their own whiskey and shares it exclusively with society members. These bottles come straight from the cask, and you can only find their scotch in a handful of bars around the globe. What’s more: The club won the Director’s Award of Excellence, a top prize at the 2018 San Francisco World Spirits Competition and their The Scotch Malt Whisky Society Exotic Cargo won best blended malt scotch—so you know what they’re pouring is serious quality.